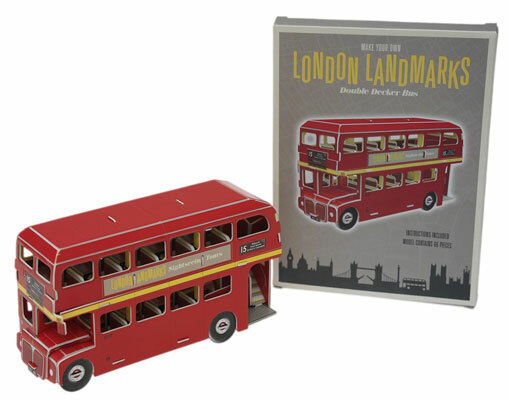 Stocking filler time, with this Make Your Own London Bus being the kind of thing that will keep kids busy on a wet Boxing Day. With a little assistance from you, if you feel crafty. Saying that, you don’t need scissors or glue, so as long as you think your kids are up to it, this is the kind of thing that can be done unsupervised, with full instructions included. It’s said to take about 30 minutes to construct, with the finished bus likely to take pride of place for much, much longer. Sold in a rather nice retro box, it sells for £6.